Colorado State Patrol investigates the crash of a semitrailer hauling coal from the King II Coal Mine on La Plata Highway (Colorado Highway 140) earlier this month. Executives with the company that operates the mine vowed to monitor truck speeds at a meeting held with neighbors Tuesday night. Executives from a coal mine west of Durango presented plans Tuesday to mitigate traffic hazards caused by trucks serving the mine along County Road 120 and La Plata Highway (Colorado Highway 140). A crowd filled the cafeteria at Fort Lewis Mesa Elementary School to hear the proposals from Grupo Cementos de Chihuahua Energy, the company that operates the mine. Among many proposals, officials promised to stop hauling on Sundays, monitor the sound and speed of company trucks and make minor road improvements. Trent Peterson, the vice president of the company, called the proposals “short-term patches” to help address community concerns. About 112 trucks come and go every day from the King II Coal Mine, 21 miles west of Durango, and many neighbors have seen drivers speeding, crossing the center line and driving aggressively. 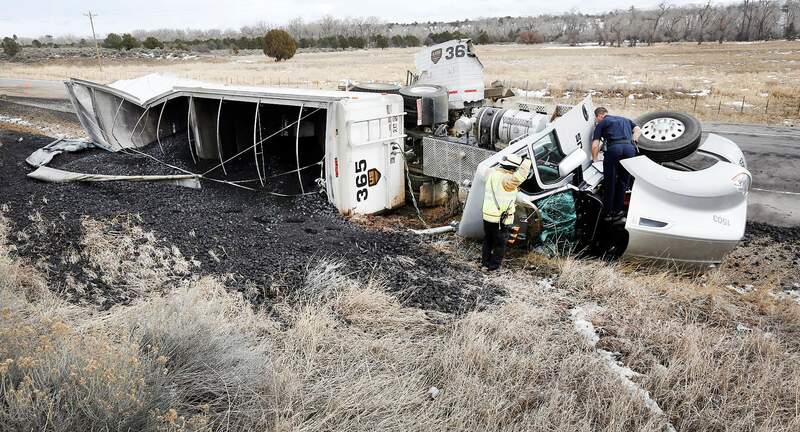 Since the last public meeting Dec. 18, three incidents involving trucks have been reported. Two trucks have overturned, and one truck left coal along the road, said Mike Olson, an engineer working for the company. One driver has been fired, and one incident remains under investigation, he said. Company executives are looking for ways to mitigate impacts on the neighbors because it is in the process of applying for a land-use permit from La Plata County. County officials did not believe that they had jurisdiction over the mine’s activities until after the mine started operating in 2007. County planners notified the company in 2012 that it needed to apply for a permit. Once the permit is granted, the company would pay a road-mitigation fee to the county, said Daniel Murray, a senior planner with the county. As part of trying to address the concerns, Grupo Cementos executives promised to stop Sunday truck traffic starting in April. They also are going to ask truckers to drive 5 miles under the speed limit on paved roads and 25 miles per hour on gravel roads. To help enforce the speed limit and reduce noise, Olson said the company would start monitoring trucks with radar guns. A member of the crowd voiced concern the company would have a conflict of interest when enforcing the speed of trucks hauling company coal. Others expressed concern that by stopping hauling on Sundays it would increase the truck traffic on other days, especially because the company is continuing to ramp up production. The company moved about 950,000 tons of coal last year, and it has a permit from the state to move 1.3 million tons each year, the executives said. The mine is expected to operate for another 15 to 20 years, Peterson said. The company is evaluating long-term solutions to traffic issues such as a conveyor belt that could eliminate truck traffic, Olson said. “There is still quite a bit of work to be done,” Olson said. The company also is interested in working with the several different neighborhood groups to find solutions to noise and vibration complaints, Peterson said.